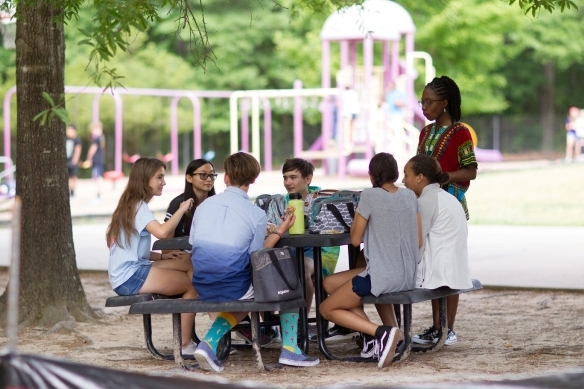 Triangle Day School understands that a community is enriched when many different voices, viewpoints, backgrounds and identities are engaged and celebrated. The school respects, affirms, and protects the worth and dignity of all persons, regardless of race, ethnicity, religion, socioeconomic status, ability, age, sexual orientation, culture, gender, gender identity, or other personal characteristics. We are committed to creating awareness, developing cultural competence, and building a diverse and inclusive environment where all persons are valued for their unique qualities. The importance of building a school community composed of individuals with diverse backgrounds, experiences, beliefs and capabilities is paramount. Numerous studies have shown that a school’s diversity contributes to the quality of education by pushing students to challenge their assumptions, think critically, empathize with people who are different and work collaboratively to discover creative solutions to real world problems. TDS strives to graduate students who lead lives of purpose in an increasingly diverse world, and therefore we seek to teach kids to celebrate and respect differences in the broadest sense of the word. Additionally, TDS understands that students make the most academic, social and emotional gains when they feel valued, safe and wholly accepted by all members of the school community. Every TDS community member brings unique gifts and capabilities, as well as different life experiences that benefit all individuals at TDS. We strive to create a diverse community that reflects our increasingly multicultural world, and we are dedicated to ensuring that everyone feels supported, appreciated and included. Goal: Strive to increase diverse faculty and maintain a supportive environment. Co-sponsor the Diversity Hiring Fair each year. Maintain active pool of diverse candidates. Establish a relationship with North Carolina Central University’s School of Education in order to directly access a diverse pool of teaching candidates. Assess the extent to which faculty feel included and valued at the school. Goal: Faculty and staff value diversity and are knowledgeable of how to create a culturally inclusive environment. Provide regular professional development on Diversity and Inclusion for faculty and staff. Goal: Strive for a diverse class in all grade levels. Implement broad strategies that highlight Diversity and Inclusion at the school that will be part of the general admissions process. Discuss the importance of Diversity and Inclusion at the school to all prospective families. Provide a specific brochure related to Diversity and Inclusion to prospective families. Develop specific marketing strategies aimed at recruiting students from diverse backgrounds. Partner with local organizations to facilitate admission for lower SES students. Work with parents as ambassadors to promote the school to members of their social communities. Expand visibility by attending school fairs and community events. Include information about Diversity and Inclusion on the school’s website. Focus on specific efforts to recruit and retain African American and Latino families and other under-represented minorities. Goal: Maintain an inclusive environment for all students. Continue Core Values instruction with a focus of how children treat one another. Assess the extent to which students feel included and valued at the school. Goal: Incorporate diversity throughout the curriculum (TK-8) in order to develop cultural competence in all students. Incorporate themes and texts in each grade which highlight the experiences and contributions of diverse groups. 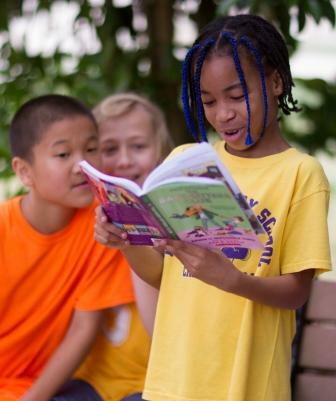 Ensure that the school library contains a variety of books/materials with diverse characters and themes. Goal: Promote community engagement among TDS families around Diversity and Inclusion. Hold diversity themed events organized by a Diversity Committee representative within the Parents Association that bring together parents at the school (e.g. Diversity Book Club). Publicize local events related to Diversity and Inclusion in the weekly newsletter. Continue holding International Festival each year. TDS maintains a stringent non-discrimination policy in all of its hiring and enrollment decisions, as well as in the administration of all policies and programs. Our Diversity and Inclusion Committee, composed of trustees, faculty, parents, and community members, remains active in the life of the school. The school provides ongoing professional development to faculty and staff in the areas of Diversity and Inclusion. TDS is a founding member of the Triangle Faculty & Staff of Color, a support group for diverse individuals working in local independent schools. TDS co-sponsors an annual Diversity Fair to recruit faculty and staff from diverse backgrounds. TDS partners with the Students to Scholars program to enable admission for students from diverse backgrounds in grades 5-8. 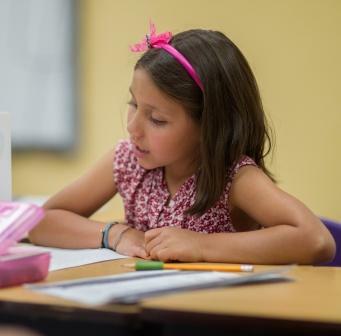 The TDS Core Values of Respect, Responsibility, Integrity, Resilience, and Compassion are woven into all aspects of life at Triangle Day School. Respect and compassion are especially relevant when issues surrounding diversity and inclusion arise. Teachers consistently model and explicitly teach respect and compassion by exposing students to diverse perspectives, cultures and life experiences through literature, films, field trips, guest speakers and more. Our youngest students gaining familiarity with the words by sitting at the Integrity Table or Compassion Corner, and older students discuss how different book characters and historical figures exhibited certain core values. 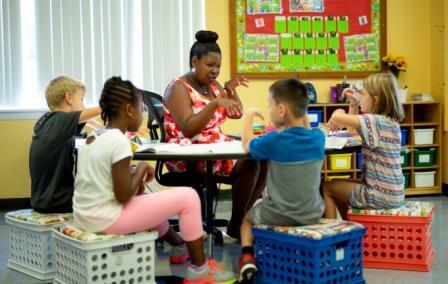 Additionally, Lower School students have a weekly Reflections class where they learn and practice the social and emotional skills needed to have a thriving, inclusive classroom and school community. Teachers expose students to a variety of cultures, values and life experiences throughout their curricula. Literature is used both as a way of mirroring students’ experiences and allowing students to peek through a window and develop a deeper understanding of the lives of those who differ from them. This annual celebration celebrates the diverse cultures around the world, as well as the heritages of school community members. Students participate in hands-on workshops led by parents, teachers and community members. Past workshops have included an Ethiopian Coffee Ceremony, Latin Dancing, Stories of the Philippines and more. Students get a taste of different cultures at the International Cafe. TDS students plan and run several events throughout the year to raise money to purchase and pack meals for Rise Against Hunger, an international hunger relief agency. Rise Against Hunger educates students on the impact meals have on children and how the meals help improve communities by encouraging children to go to school, particularly girls. Student Council plans school-wide fundraisers including Penny Wars, carnival games, and more. TDS Middle Schoolers devote time to learning about issues of food insecurity and taking action on local hunger-related issues. Students learn about wealth inequality and access to healthy and nutritious foods. Service work occurs on and off campus. During this day of learning off campus, there is always at least one trip that connects to issues of diversity, equity and inclusion. In recent years, students have traveled to the International Civil Rights Center and Museum. Students to Scholars facilitates the admission and support of students from various socioeconomic backgrounds. Hill Center offers a unique half-day program for students with learning differences. This partnership supports students and strengthen the academic diversity of our student body. SEEDS is a local nonprofit that strives to develop responsibility, teamwork, leadership, equity, environmental stewardship, community, problem solving and experiential learning in young people. Middle school students volunteer at SEEDS urban garden alongside students primarily from Northeast Central Durham. 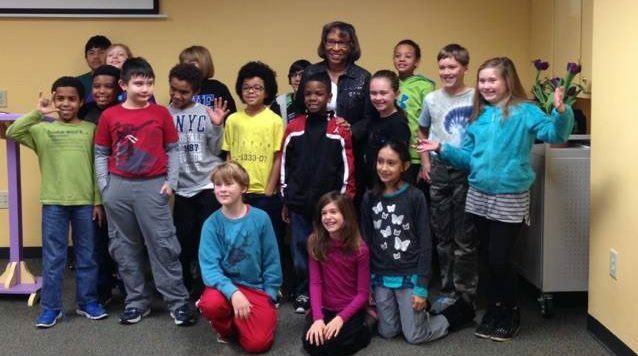 TABLE NC provides emergency food aid to food insecure students in Chapel Hill and Carrboro. TDS students learn about the systemic causes of food insecurity and those who are affected by hunger. After food drives, whole classes of students take the food to TABLE. Urban Ministries of Durham works to end homelessness and fight poverty. Individual classes have visited UMD to help bag powdered milk, stock shelves in the food pantry and organize the clothing closet. PACE Senior Community Care Center provides health care and support for elders to help them stay both independent and connected with their community. Students visit monthly to learn about the seniors’ life experiences when they read together, make craft projects and more. World Relief works with local churches to help vulnerable individuals. TDS students have partnered with World Relief to welcome refugee children to Durham. Students have raised funds to purchase backpacks and to create welcome kits for newly arriving children. TDS serves as a Good Neighbor Team.